Today, I’m showing you the items that I bought from my €250 (!!) Top Vintage gift card that I had won by entering a Facebook give away. I was so happy that I won this because I totally love Top Vintage, but I just never ordered anything there because it was out of my budget. I could have spend much more on this website and I actually did, haha! I went two pairs of shoes over €250. As Top Vintage requested me to show my new outfit(s) to them once I had received my order, I also made up outfits with my new items. Off we go! I’m also wearing earrings from Istanbul which I already owned. I fell in love with the shape and the colour of this dress. It just looks so elegant! The shoes, as you might know, I had fallen in love with long before I won this gift card. I love houndstooth, I love high heels, you do the math, haha! Now I finally have them! And they fit me perfectly! Pinup Couture is definitely my new favorite shoe brand. My feet are a size 35.5, which is smaller than the smallest female shoe size in most countries (including mine), so I was very happy to find out that actually all shoes that Pinup Couture makes fit half a size smaller. Also, they have this elastic band at the back of the inside, which keeps your heel from slipping out. Absolutely perfect for me! So once I received these, I decided to also order similar ones in all black and dark red. And the clutch, well… It’s made of bamboo. Hello! How awesome does it get? I’m also wearing a top from Zara and cherry earrings from Oud & Nieuw to finish the outfit. I really love the details of this skirt. I mean, the bow on the back is just too cute! Love it! The shoes I already mentioned below the first outfit. These are the dark red ones, but I also got the same ones in black. So, I’m now looking for a nice polka dotted black blouse to go with the last skirt! And of course looking for an occasion to wear my awesome new dress to. But I’m sure it will come! Hope you liked seeing this! Vooral die 2e outfit vind ik erg leuk. Wat heb jij toch een geweldige stijl en een prachtig figuur! Alle twee de outfits zijn echt geweldig! Mooi, staat je allebei echt heel erg goed! Wauw, het eerste jurkje is prachtig! Aaaah leuk meid! Die groene jurk is HEBBEN! Om je vraag te beantwoorden; ik weet zo geen leuke shop waar ze repro mini pillboxes verkopen :( kan je er niet gewoon één kan Ebay plukken? Love both outfits, especially the first one. You have a great style! wat leuk dat je 250 hebt gewonnen en wat heb je leuke dingen uitgekozen. Echt ‘Sonja’! En wauw. Gewoon wauw, die eerste jurk is zo ontzettend mooi! Heb je misschien een link naar de jurk waar ik ‘m kan kopen? Ik vind ‘m echt heeeel erg gaaf! 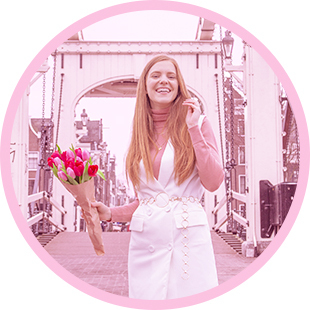 Je kledingstijl is echt ontzettend leuk :) Ik zag laatst ook dat je bent gefeatured als fashionblogger bij een andere blog. Gaaf joh! Leuk om je blog zo te zien groeien! !